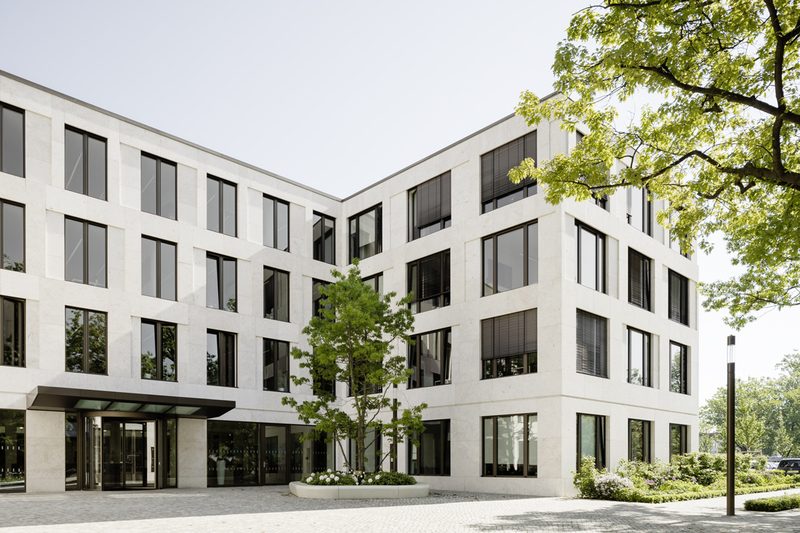 The new office and administration building for the Kassenärztliche Vereinigung Brandenburg and the Landesärztekammer Brandenburg was developed on a building site along Pappelallee in Potsdam. 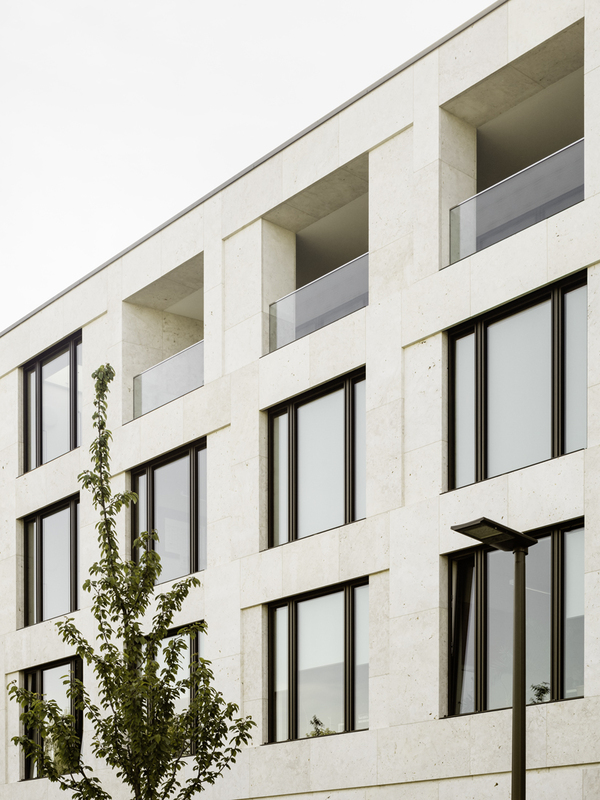 The structure encompasses the Georg-Herrmann-Allee, where the street-facing façade is aligned with the adjoining development to the north. 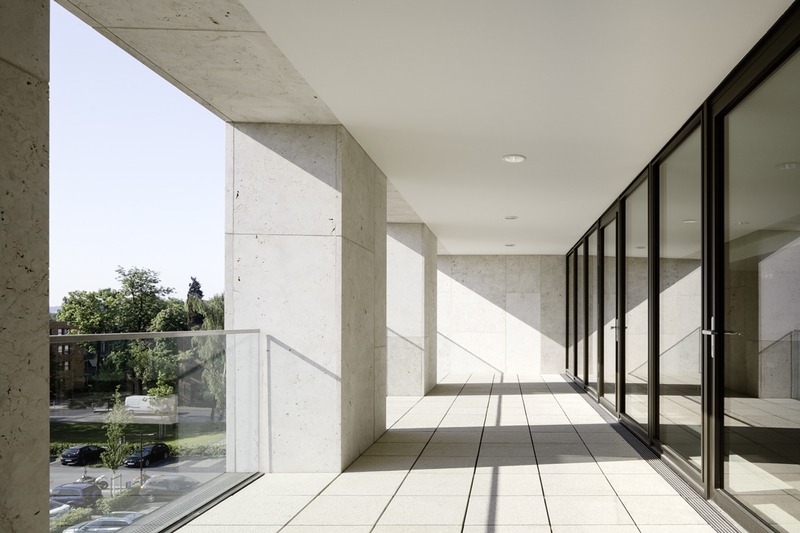 Conceived as a freestanding solitaire, the building is embedded in a park-like environment with mature trees. 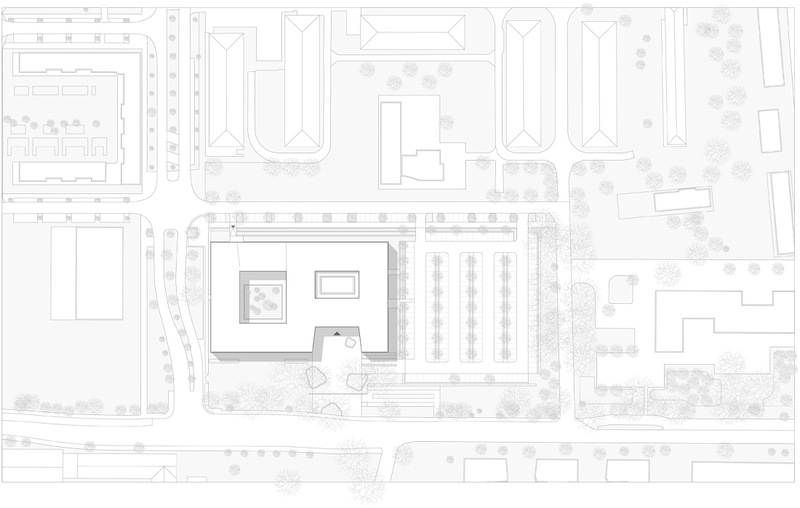 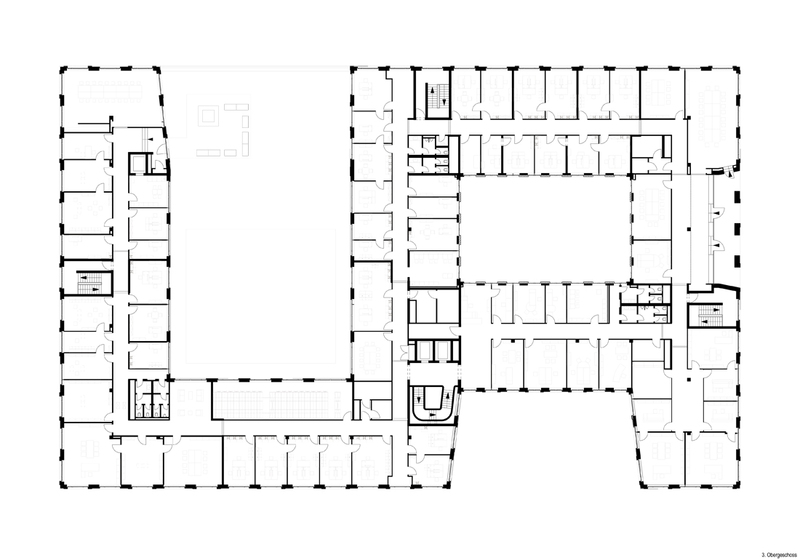 The structure conveys a monolithic impression through two enclosed courtyards and an entrance plaza that opens to the street. 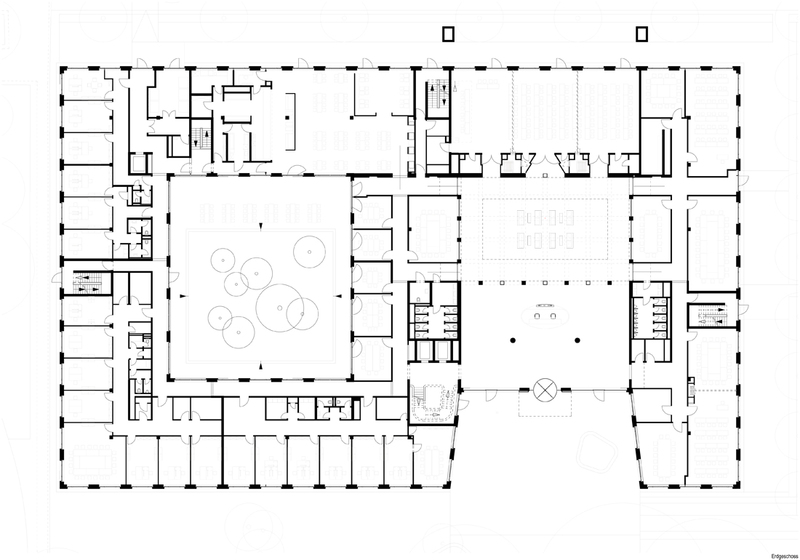 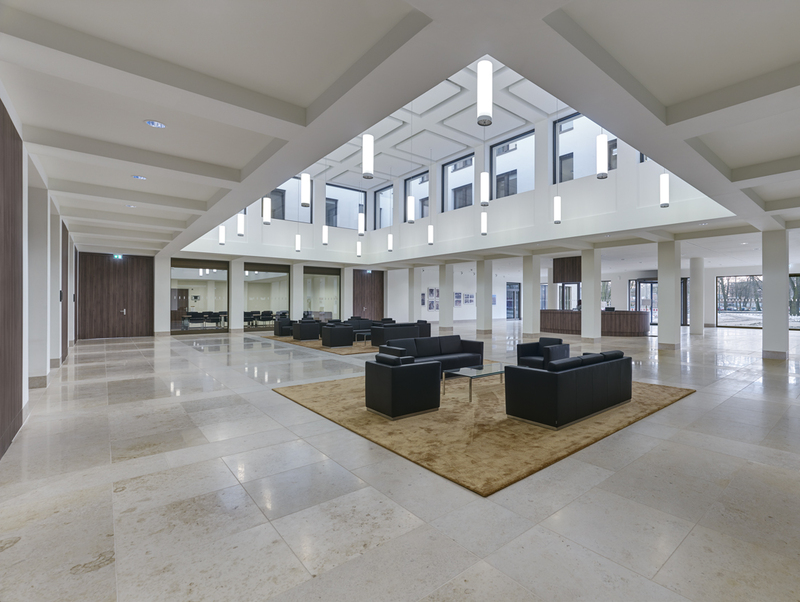 A conference area on the ground floor surrounds a central, two-storey hall, which is lit by a large ‘roof lantern’. 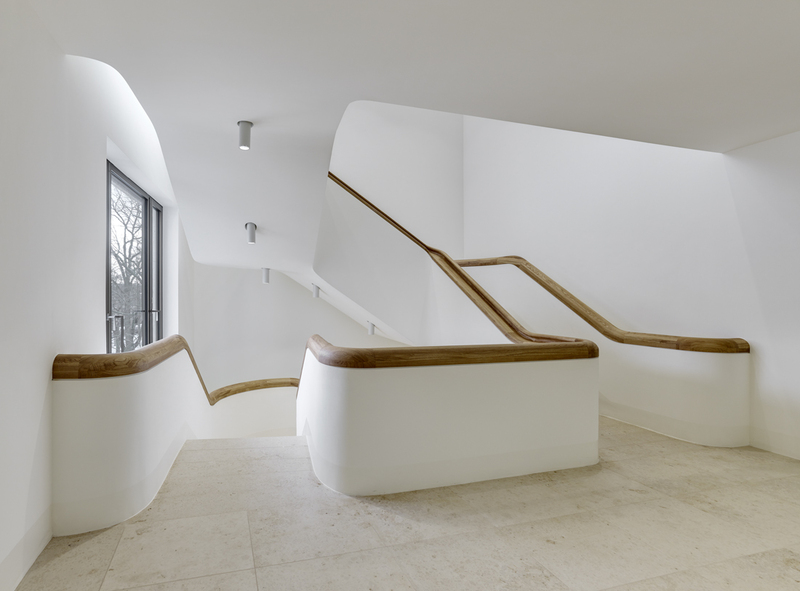 Staff can access the office levels through a centrally located main entrance and staircase without interrupting conferences or meetings. 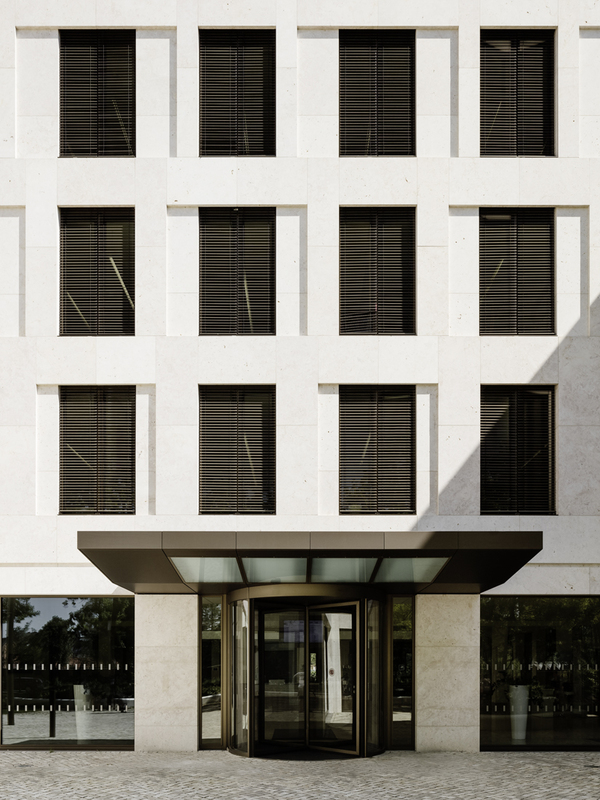 Ceiling height and window openings extending over two or three expansion grids create a broad façade that reflects an open and modern management style. 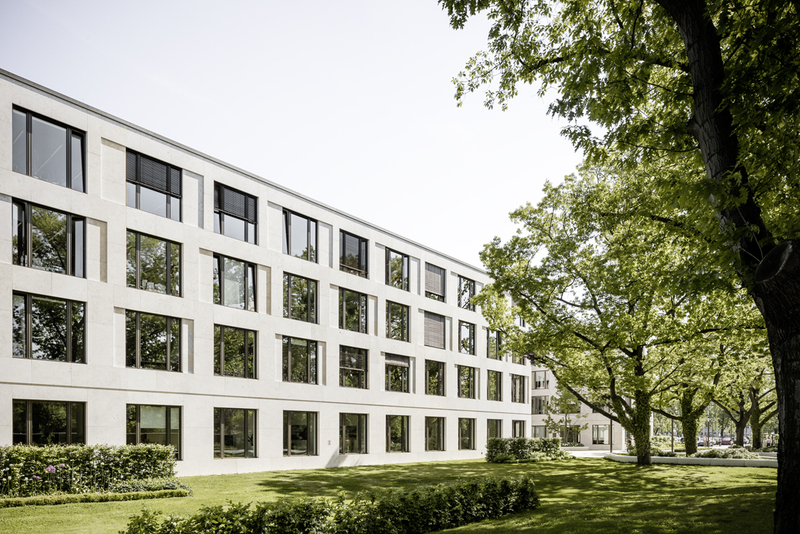 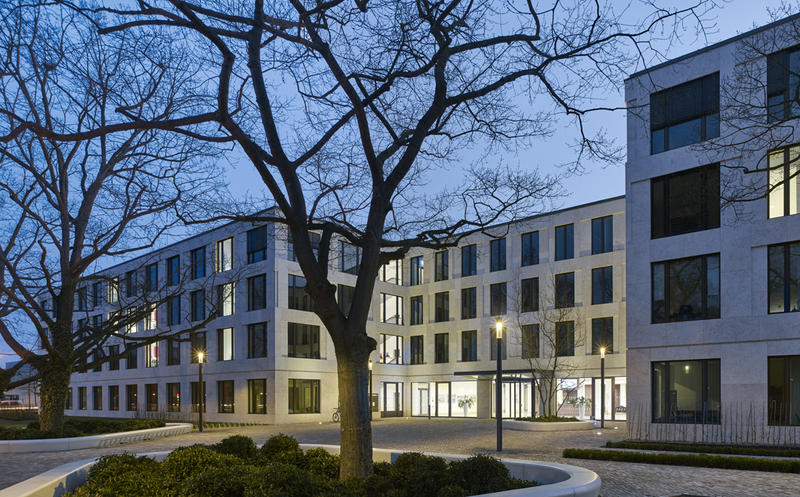 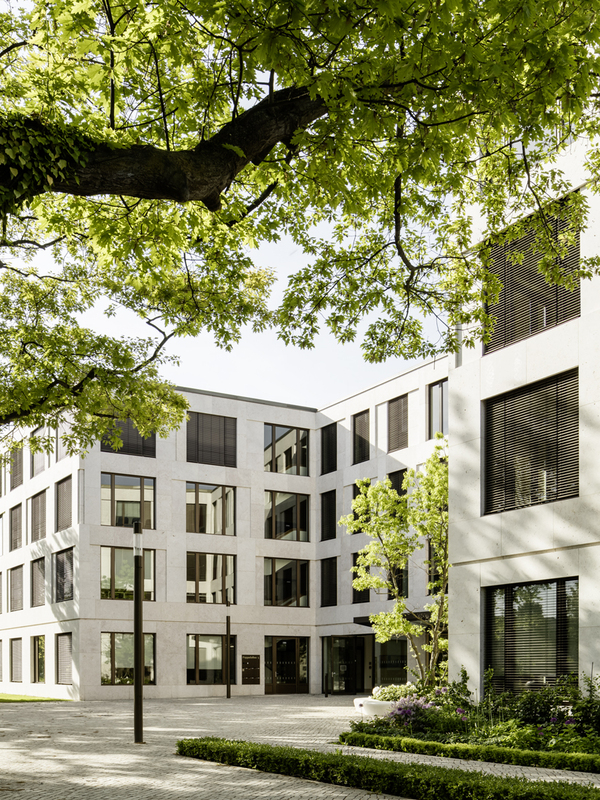 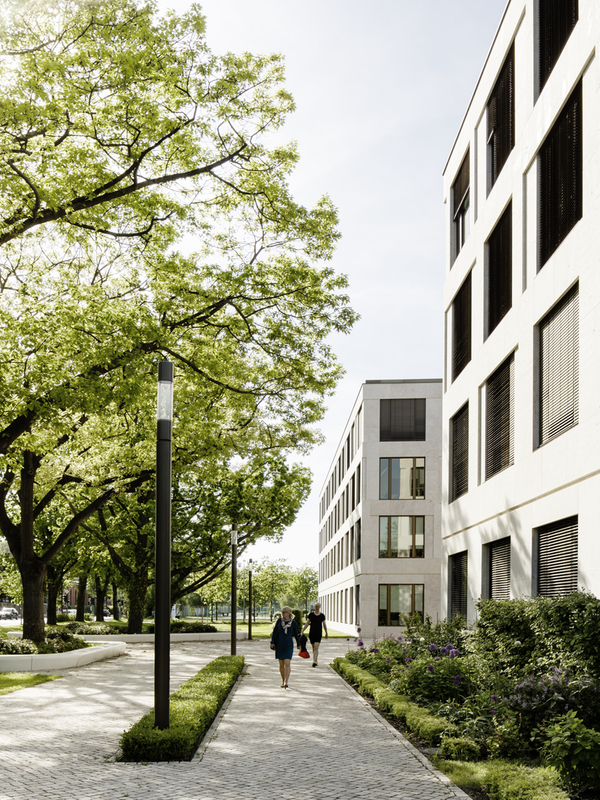 The bright shell limestone used for the façade brings to mind the spirit of traditional Potsdam architecture. 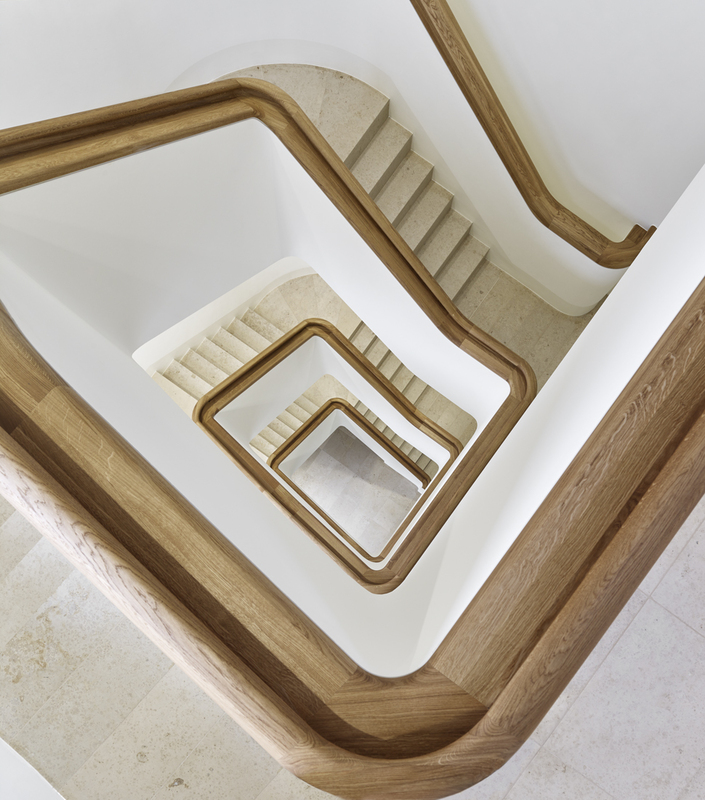 A quasi-abstract branch tracery design can be followed through each storey along the surfaces of the pillars, varying in intensity from front to back and creating a gradual transition from light to heavy. 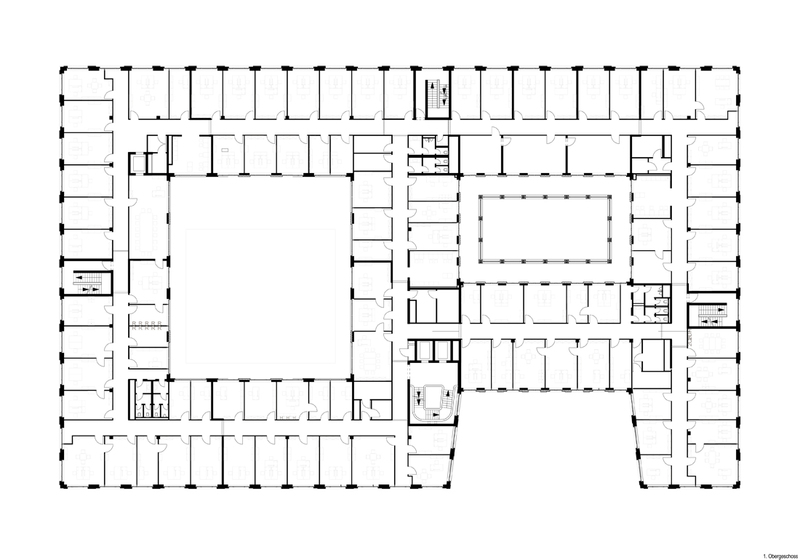 Following this logic to its inevitable conclusion, the basement level has been completed in a flat design and offset from the upper storeys by a shadow gap.